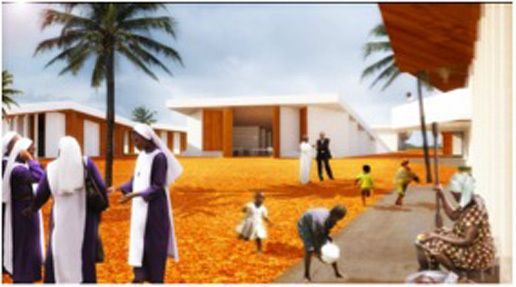 A rendering of a retirement community for Catholic priests in the Ivory Coast. 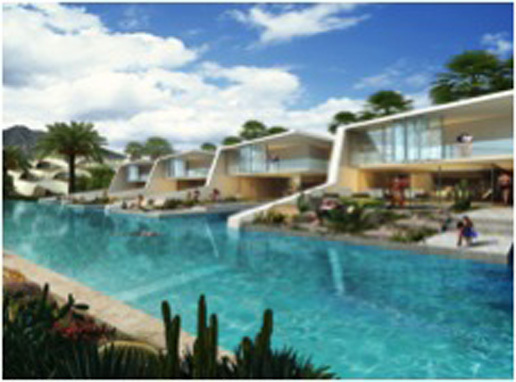 Proposal for BOOM residential plan in Palm Springs. 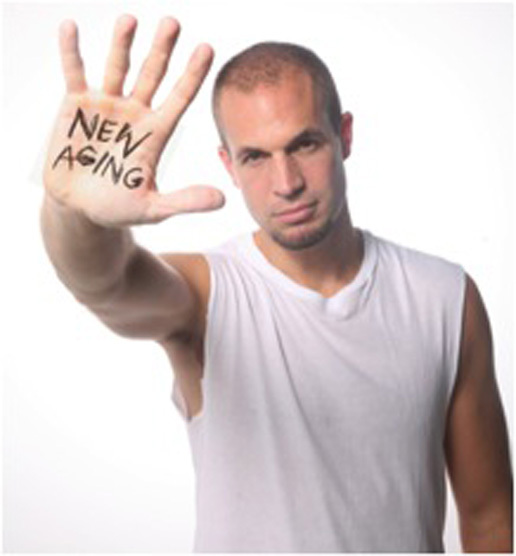 "New Aging" architect Matthias Hollwich. With every passing year we are aging. How did that make you feel? Likely not great. Matthias Hollwich, co-founder of HWKN, an architecture and concept design firm based in New York City, is on a mission to change that. Instead of focusing on preserving youth, he sets out to accommodate and embrace the aging process. His philosophy has blossomed into a revolution he has dubbed “New Aging,” which integrates an open mindset with architecture. At just over 40, Hollwich doesn’t look typically old, yet he declares that he is. “I’m just past my 50% percent life expectancy,” he points out. That “made me begin to think about what lay in store for me,” he says. The things he saw in store weren’t promising. A system where care for the elderly revolves around nursing homes, which despite their “homey” appearance of floral wallpapers and wooden floors seem to him like storage facilities. By making little adjustments along the way and integrating the aging process into our lives, Hollwich argues we will be more prepared for the end of life changes that inevitably occur. 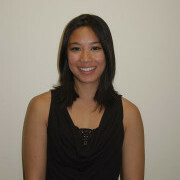 For Hollwich, the fundamental issue with nursing homes is the design. “It pretends to act as a home, and even though its purpose is similar to a hospital, it’s not a hospital,” Hollwich explains. As an architect, Hollwich stresses that the design of your physical environment has a significant effect on your ability to remain independent; in the case of a nursing home, he feels that it traps its occupants and prevents them from living in a more comfortable and independent way. Hollwich proposes to replace nursing homes with community-based living options where medical care remains in the background but is readily available – a concept he has dubbed “stealthcare.” It maintains the feeling of home and guarantees that the care the occupants receive isn’t on an all or nothing basis. Instead, the care can be tailored to an individual’s needs, ensuring that they retain their health and independence. The homes themselves can also easily transform into temporary health care and hospital stations. The dimensions of the bedroom are calibrated to fit a medical bed and other areas like the kitchen are designed to better accommodate a person who is wheelchair bound. It is especially important to design bathrooms that are easily accessible. If they are inaccessible, people tend to avoid using that space. This can exacerbate health problems; people are less likely to drink enough water, or to brush their teeth. Features of good design for dementia care can include ensuring that accommodations are small inside but have secure outdoor space, good signage and cues, and control of stimuli. Using furniture that is familiar to the resident also gives them a sense of security and a sense of control over their environment. The furnishings should also clearly indicate the purpose of the rooms to the residents to avoid their confusion. Simple design elements like increasing light level and contrasting colors of floor and wall can also make a difference, as dementia often causes impairments in depth perception. It is most important that the design of the homes promotes the residents’ involvement in activity so that they continue to use their skills and pursue their interests. More sophisticated solutions for dementia haven’t yet been incorporated in the “New Aging” home designs, as according to Hollwich, it would require “a whole new level of knowledge” that hasn’t been firmly established. He does hope to generate this knowledge soon by meeting with experts further down the road, possibly drawing from the Dementia Villages in the Netherlands. These villages are a self-contained world in which dementia patients can live alongside caregivers. Hollwich’s overall vision is a micro-community of these homes, where there is an abundance of common space to encourage socialization. These communities are walkable, as some aging adults lose the ability to drive. Amenities such as grocery stores, pharmacies, and shopping malls are also integrated for convenience and for a sense of community. Most importantly, living areas for family and friends of the residents are included to encourage them to visit. This keeps the residents’ social networks intact – yet another aspect that is often lost when elderly people move to a nursing home. The designs for these communities are often a collaborative effort between multiple design firms like HWKN. 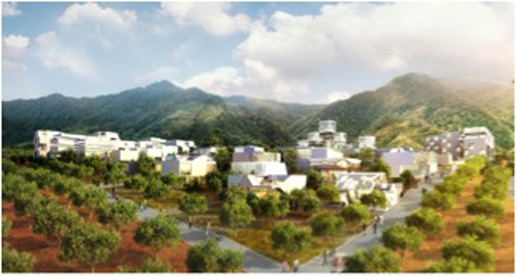 Hollwich’s current projects for New Aging that are in the process of being built include a retirement community called BOOM in Palm Springs as well as one in Costa del Sol in Spain, a community center for the elderly in New York City, and a retirement community for Catholic priests in the Ivory Coast. In terms of selling these homes, the biggest challenge is branding, Hollwich says. To combat this, Hollwich’s designs use innovative and aesthetically pleasing postmodern design. Hollwich also intends to bring attention to his campaign through his new book, New Aging, set for release at the end of 2015. Isabella Lopez was a Summer 2014 intern with Making Sense of Alzheimer’s, when she was an ancient history major at the University of Pennsylvania and an active volunteer with the Student Hospice Organization of Penn. When Lester Potts was diagnosed with Alzheimer's, his family thought he had given up. Then he met artist George Parker. "Falling Into The Day" is a seven-year photography series chronicling the slow progress of Alzheimer’s disease. The goal isn’t to live forever; it is to create something that will. So, you see, I can never escape. "Memory is a portal to creativity."